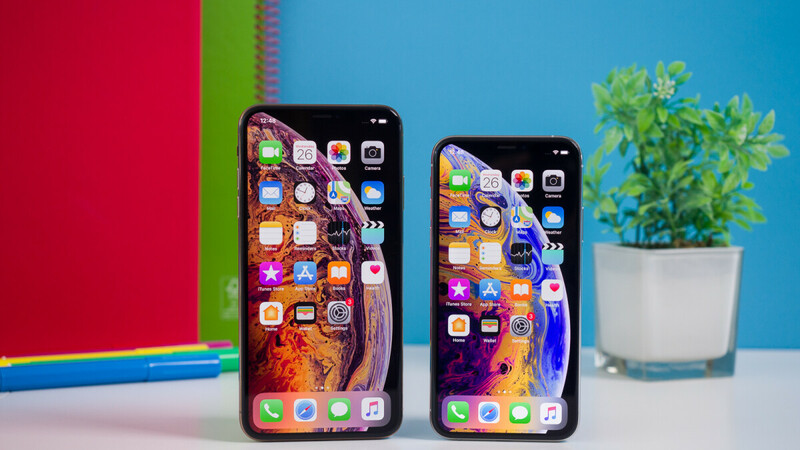 LG has apparently started mass production of OLED screen panels for Apple's respective iPhones, after months of testing, deliberation, and failed yield promises. LG was being fast-tracked to become Apple's second OLED display supplier, breaking Samsung's current monopoly over iPhone displays, to no avail until now. While Apple and LG cut the ribbon on the new production line, it was said to only be able to produce no more than 2 million panels by the end of the year. Some of these could potentially be used only for repairs of the new iPhones, too. Considering that the initial aim and the quantity that analysts predicted was twice that number, they cut LG Display's share price forecast because of the yield issues. The E6 line in its Korean factory was reportedly cleared for production way back in September by Apple which put it into operation, hoping to get whatever yields LG can muster. Unfortunately, the number of OLED panels with the needed quality that LG's conveyor belts were able to churn out was not very large. In fact, LG might only be able to supply about 400,000 iPhone OLED panels this year, tips Korean media today. That's a far cry from even the humble 2 million prediction last month but with the help of Apple's credit lines, LG should quickly be able to ramp up production. LG aims to start small but steady and try to trim its crosstown rival's chokehold on the small OLED panels industry, while the team from Cupertino is in a desperate need of at least one more OLED screen supplier to avoid the monopolistic prices that Samsung is charging. The Korean analysts claim that Apple's supply contract should bring LG Display the equivalent of $90 a panel, though, which mounts up to Samsung's price, so in the end, Apple may gain nothing but diversification from the OLED contract with LG. Hopefully any future iPhone I buy, has a Samsung display. No one does displays nearly as good as Samsung. I'm sure you wouldn't see any difference with LG version, what you see on iPhone screen is mostly from Apple and their calibration not from Samsung. If you think iPhone have Sony cam and have had years already and their cam is lot better than Sony phones. It's again what Apple does with that hardware not who made the hardware. Apple's calibration of 3rd party parts maybe good but you can't deny the fact that iphones and china phones are the FRANKENSTEIN of phones. Oh btw iphone is assembled in china. Designed by apple, made in china. Then let some no name company make iPhone screens, and have Apple calibrate them and see what you get. A strong foundation is needed bruh...Samsung is that. You just can’t stand, that every time you interact with your iPhone, you’re interacting with Samsung. I would like apple to become less dependent in Samsung. Samsung produces the best OLED but with apple’s specific calibration, I think there would be nothing wrong outsourcing to other display maker luke LG or Japan display. I know you're an Apple fanboy who despises Samsung, but if you want Apple to give you the best, you wouldn't want them to get their displays from LG. I was about to cancel my Mate 20 Pro pre-order because of the screen issues reported in the UK, and it turned out that phones released there have an LG panel. But for my luck, our region and majority of other markets will have the BOE panels in their Mate 20 Pro. LG seems that they don't know how to learn from their mistakes, quite the contrary, they seem to keep making their OLED panels even worse. That's not true. I'm comparing the screen on my Pixel 3 which uses LG display to Galaxy S8 and I'm very impressed how fast LG improved their OLED. Samsung has the best display, but LG this year ia not far behind. I'm glad I have mine already. Don't want anything to do with an LG panel. It's funny how people think LG panels would be worse, you wouldn't see Any difference with them just like first Samsung made chips for Apple and nowdays it's TSMC and no-one is complaining. Don't you guys understand which kind of s**tstorm would happen if someone gets noticable better screen than you with same device? You guys seriously think that is possible with a company who's every smallest moves are investigated and reported widely. They wouldn't sell Any of These if users can spot the difference. Nah. Everybody knows that iphone is FRANKENSTEIN. LG produces great quality OLED TV's - I have a Samsung but I actually like LG more - so they are more than capable to build good quality panels; with Apple's money they should have no problem scaling the production. I will also like top see an iPhone with a Sony (Bravia engine) display. Indeed LG makes the best television panels. They have not and currently cannot make an even decent mobile panel without issues.